As a mom of 6 and caretaker to more children then that I have used just about every diaper out there. Being a family child care with at one time 2 of our own in diapers, several of the child care children, and a niece we found ourselves changing lots of diapers. 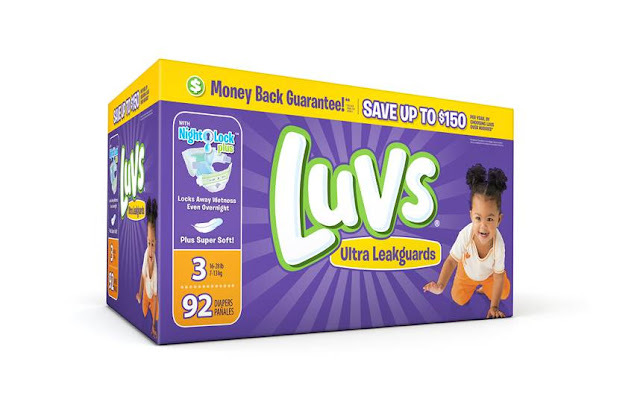 We needed a great diaper that was affordable, absorbent, and stood behind it's name. 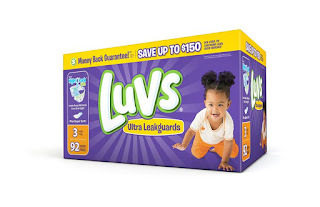 Luvs is one diaper that did that for us. It kept us within budget, and gave us all of the extras we needed. Now Luvs is softer and more absorbent than ever before, with large stretch tabs for easy fastening, ultra-leakage protection and a money-back guarantee, Luvs Ultra Leakguards with NightLock Plus™ provide the high-quality features babies and parents need for less cost than the premium brands. Disclosure: This review was made possible by iConnect and Luvs. I was provided compensation to facilitate this post, but all opinions stated are 100% mine. Regardless, MarksvilleandMe only recommends products or services we use personally and believe will be good for our readers. Some of the links in the article may be “affiliate links.” This means if you click on the link and purchase the item, I will receive compensation. If you would like MarksvilleandMe to review a product or service please contact us at marksvilleandme@gmail.com.